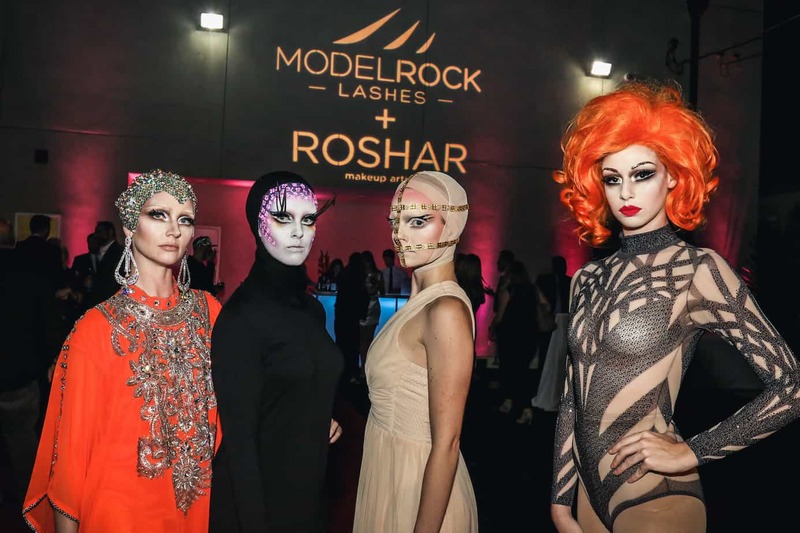 Model Rock Lashes, Australia’s favourite lash emporium, is now rocking Los Angeles. 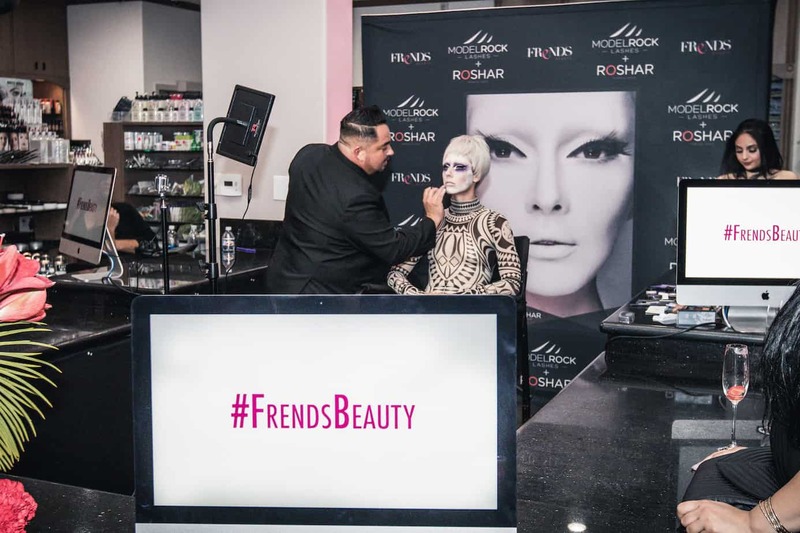 75 VIP guests, including celebrity makeup artists and key influencers, celebrated at Frends Beauty LA. Why? Because Model Rock Lashes + ROSHAR Lash ART is now stocked at America’s largest beauty supply store, the prestigious Frends Beauty LA. Now there is no excuse to go lashless in LA or anywhere else in America. Are you listening, Kim Kardashian? 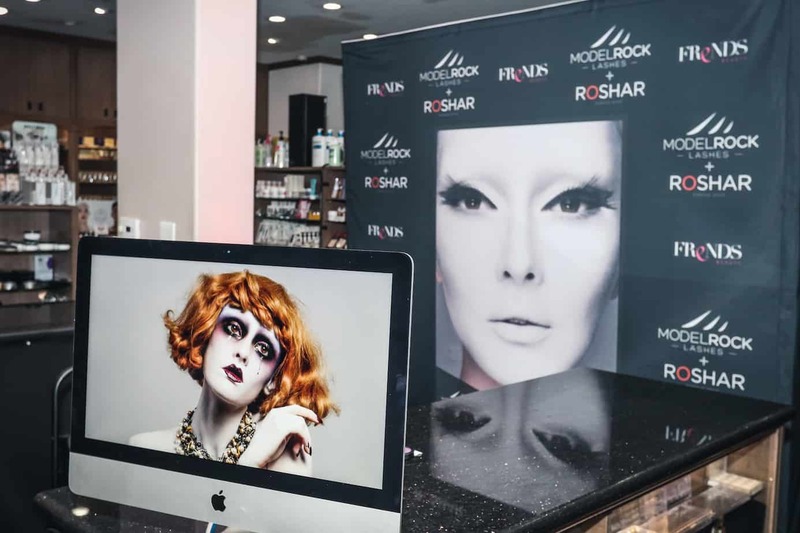 ROSHAR displayed his skill and unconventional approach to makeup. 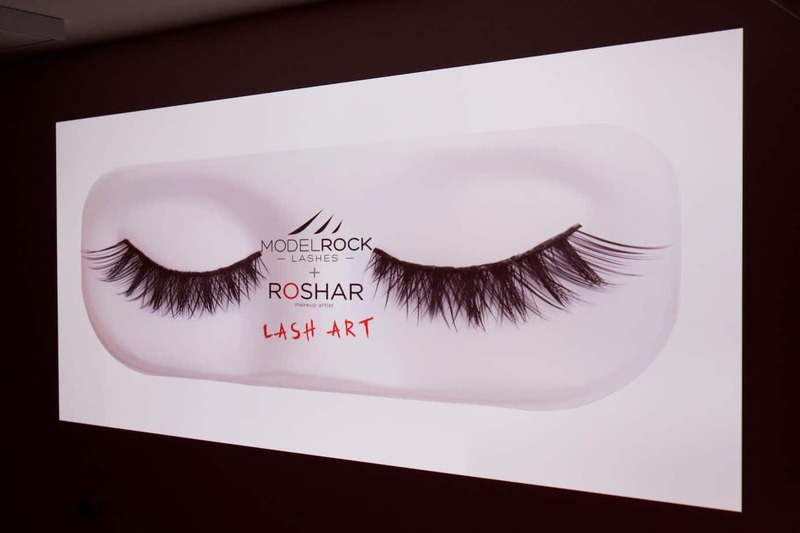 His reputation for extreme artistry has seen the Roshar + Model Rock Lashes collaboration reach dizzying heights… and for good reason. 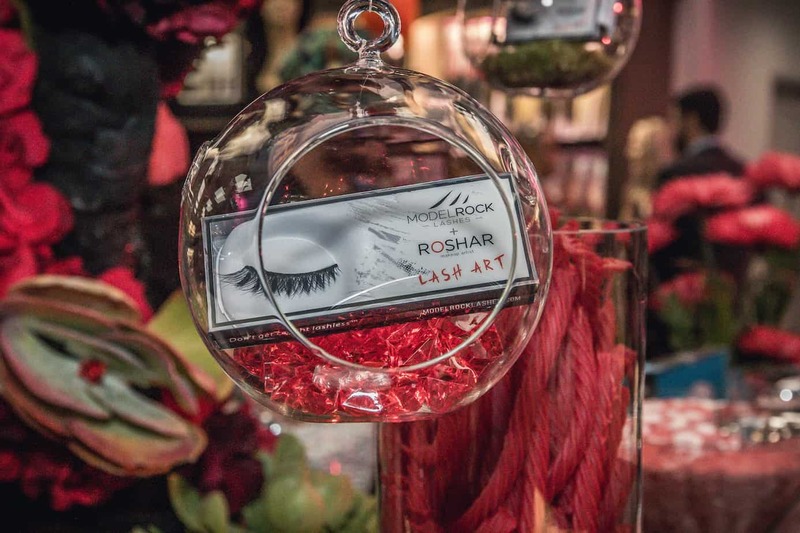 Roshar was invited by Frends Beauty Supply General Manager, Brian Esper, to explain his silky synthetic lash range for Model Rock Lashes and his unique makeup techniques. 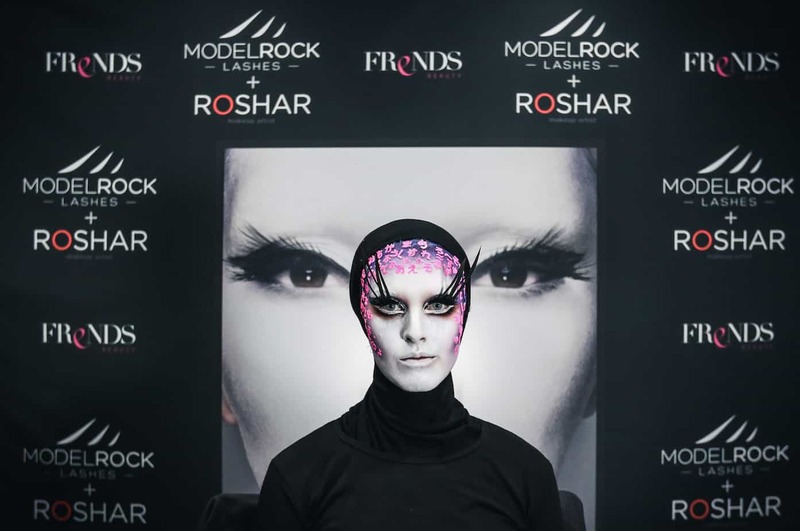 Roshar applied his magic to five models during the launch. Afterwards, the ‘walking art’ mingled with guests. 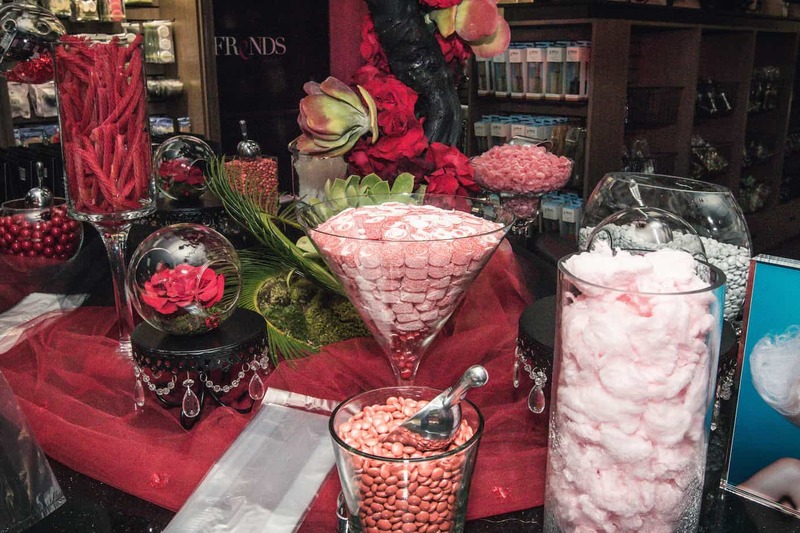 An elaborate candy store in red, pink, and white showcased Model Rock Lashes crafted in beautiful avant-garde floral centrepieces. 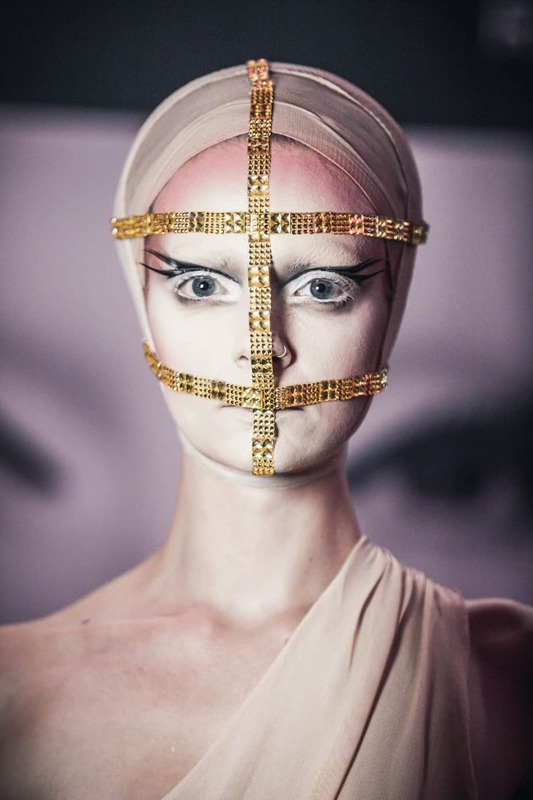 Model Rock Lashes were also suspended in glass terrariums hanging from fashioned tree branches. 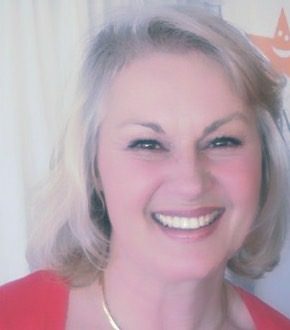 Each guest received a generous pink, Frends branded gift bag of goodies. 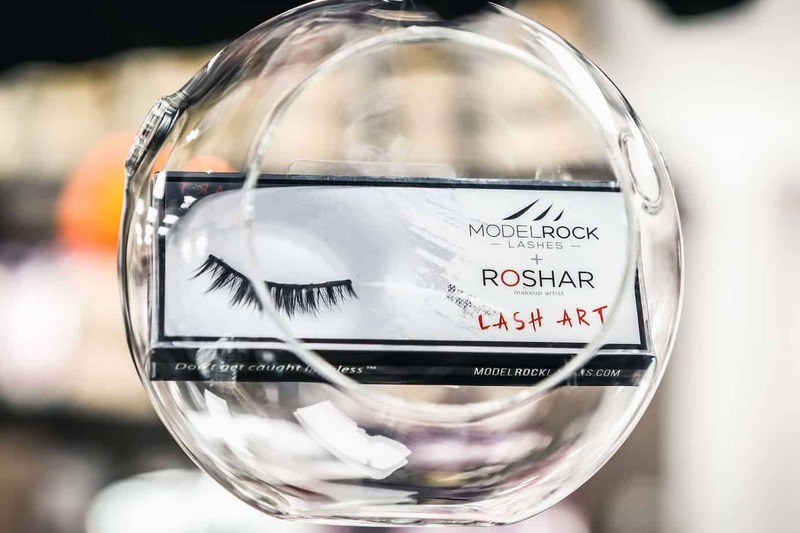 Model Rock Lashes have adorned the eyes of stars including Britney Spears, Jessica Mauboy, Chrissie Tiegen, Ricki Lee Coulter, Debbie Gibson, Candice Bergen and more. 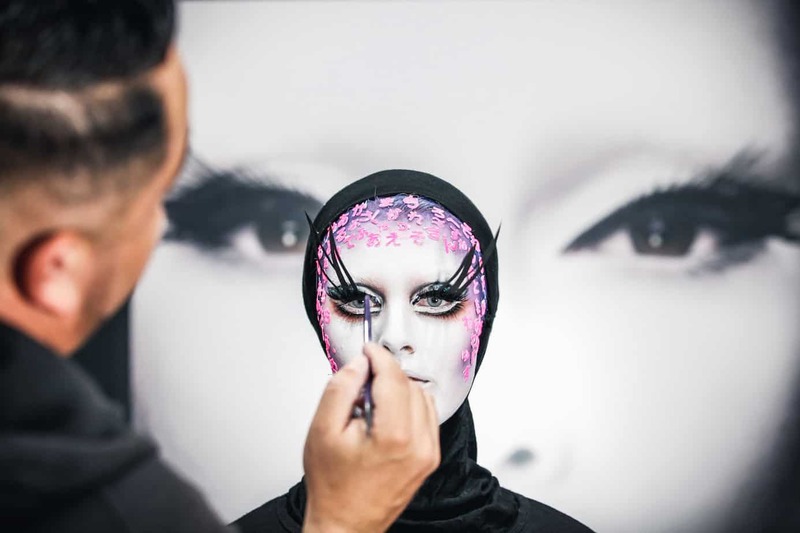 They are also the choice of celebrity makeup artists including Rae Morris, Dale Dorning, Merton Muaremi, Mia Connor, Brett Freedman and more.